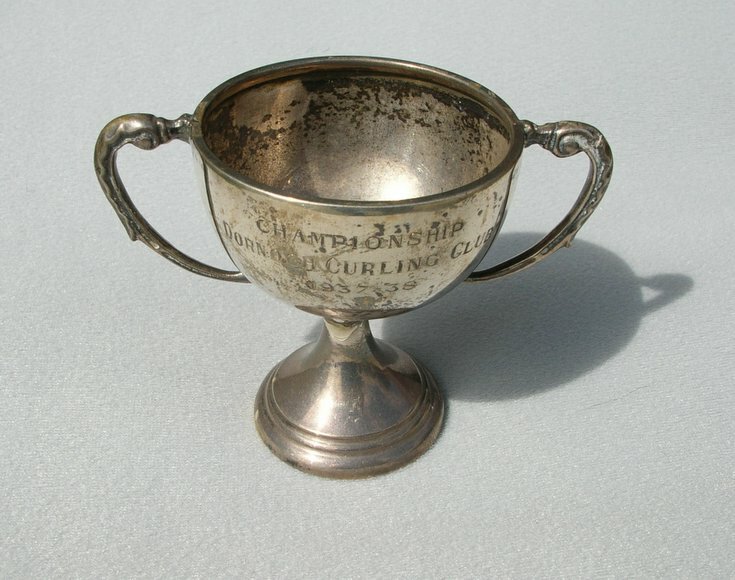 Small silver presentation cup inscribed "CHAMPIONSHIP DORNOCH CURLING CLUB 1937-38". Has been badly mended with glue at base of bowl. May have stood on plinth, now missing. Came from box of material from Grant family.